 Romani & Sons is a family owned and operated home improvement company. Established in 1986, our business is located in Bensalem, PA, but we do business throughout the tri-state area. We provide services to both residential and commercial customers. Romani & Sons has been a word of mouth reference business from its start, emphasizing on providing the highest quality of workmanship for a reasonable price. We are a fully licensed and insured general contractor that looks forward to making our customers the happiest in the area. When you do business with Romani & Sons you will deal directly with the owner, salesman, and installer Ken Romani. Romani & Sons takes pride in completing jobs on a timely fashion, keeping estimate appointments, and returning customer phone calls. It has always been our policy to service any warranty or problems for previous customers. Romani & Sons is considered a small business with 5 full time employees, but one that you can trust in your home, and treat your home like it were their own. A benefit of dealing with Romani & Sons is knowing the people working on your house this year were the same people from 3 years ago. There is no job to small or too large for Romani & Sons. One of the things that makes Romani & Sons a unique company, is its wide variety of services. Ken and his men love the challenge of a highly custom job, or the precision of doing a common job to its finest quality. For all your home improvement needs call Romani & Sons today for a free estimate. 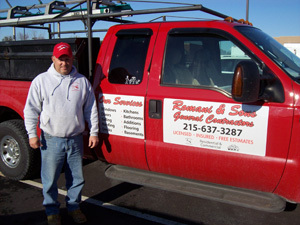 Romani & Sons General Contractors is located in Bensalem, Pennsylvania, and serves clients in Bucks County, Chester County, Delaware County, Montgomery County and Philadelphia County and New Jersey, including the towns of: Abington, Ambler, Bensalem, Blue Bell, Cheltenham, Conshohocken, Doylestown, Elkins Park, Glenside, Hatboro, Hilltown, Horsham, Huntingdon Valley, Jenkintown, King of Prussia, Lansdale Springfield, Montgomeryville, New Britain, Norristown, Plymouth Meeting, Upper Dublin, Upper Moreland, Warminster, Warrington and Willow Grove.